Our correspondent Julien Mahiels is at Zolder now and in few hours the main race is about to start. While we wait for further updates on the ground from yesterday and today, based the results so far, All-Inkl Lamborghini seems to have the upper hand here by getting its second consecutive pole and its first win in Qualifying Race. Dominik Schwager and Nicky Pastorelli (pole sitter) in the No.37 All-Inkl Lamborghini however was involved in an early laps mayhem in the qualifying race. But that didn’t stop his teammate Basseng And Winkelhock to take first All-Inkl race Win. 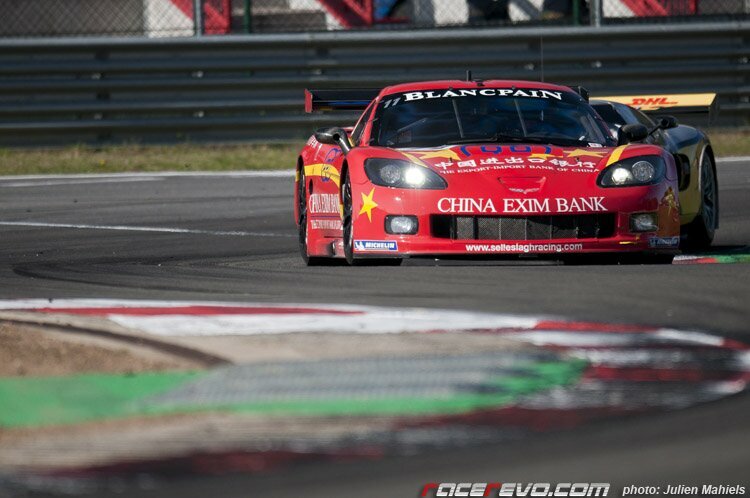 Exim Bank Team China Corvette lead the race after the mayhem, but was not able to defend the position from the aggressive Hexis AMR and All-Inkl Lamborghini. 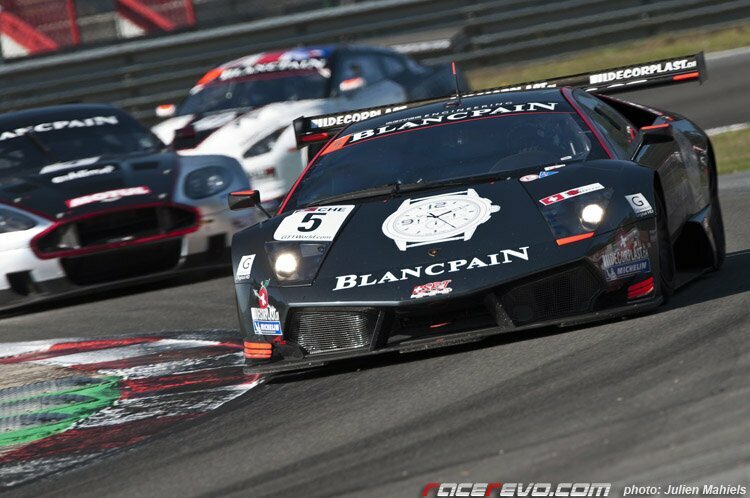 Hexis AMR collided with All-Inkl Lamborghini for 1st place battle in the dying minutes of the race. 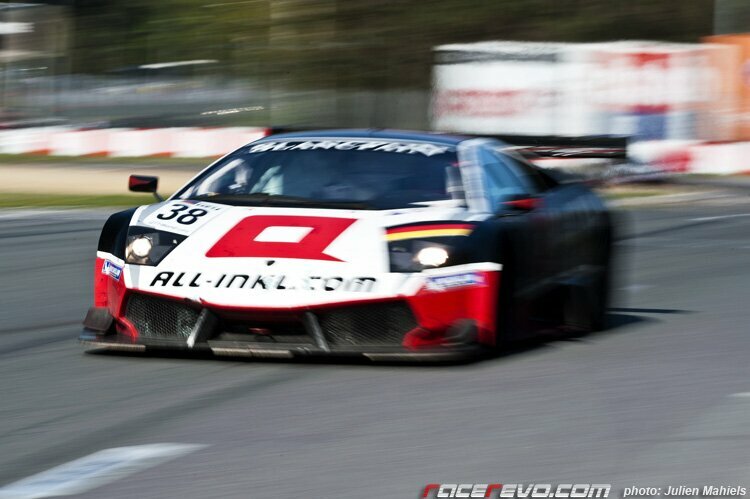 While All-Inkl Lamborghini could continue after the impact, Hexis AMR broke its suspension and was forced to retire. This promote Exim Bank Team China Corvette into second place. Karl Wendlinger / Peter Kox in Lamborghini Murcielago 670 R-S finishes 4th in the qualifying race. “It’s just amazing, I can’t believe it. Thank you to the mechanics who did a great job. 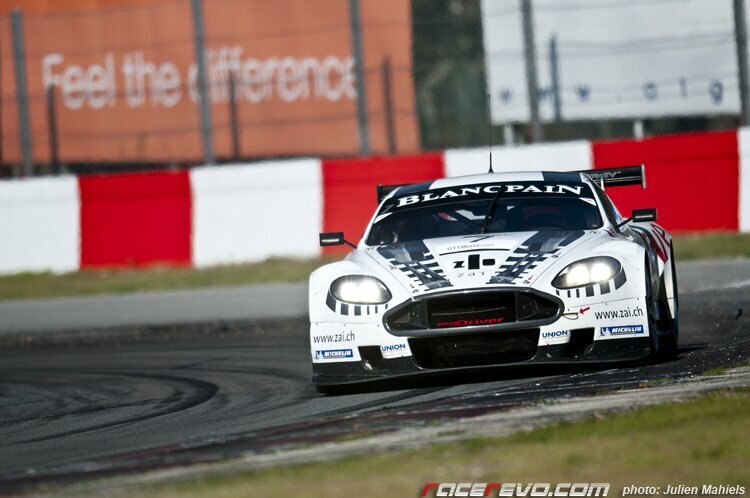 I have great memories here at Zolder, but I think this is the best yet – the first win in GT1 for All-Inkl. “I’m really pleased with the result. We struggled a little at the beginning of my stint with the low tyre pressure but the car was consistent. May one lap more I could have got one place more but we have to focus on the main race tomorrow. The boys were very fast in the pit stop so I’m looking forward to tomorrow as we now have a good starting position. Stay tuned for more updates from me at Zolder.